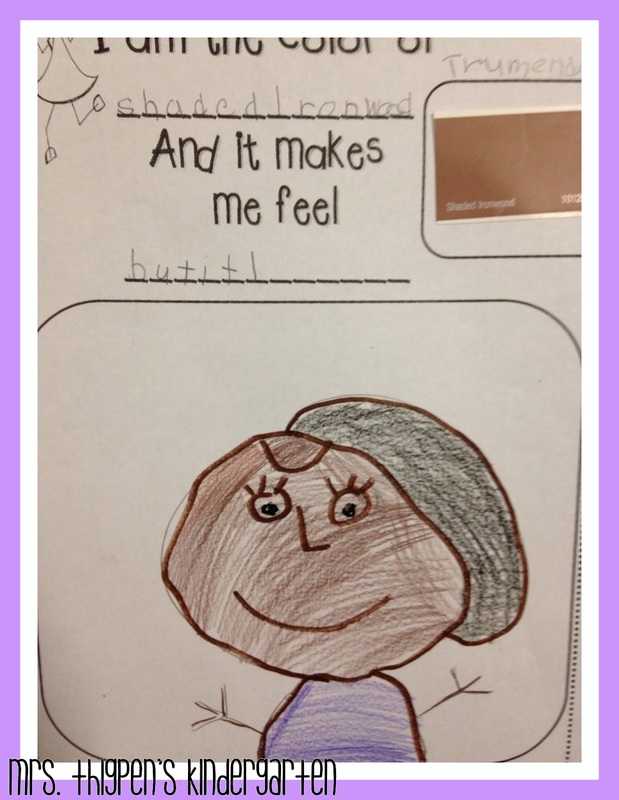 Teaching Blog Round Up: Black History Month Activities & a freebie! 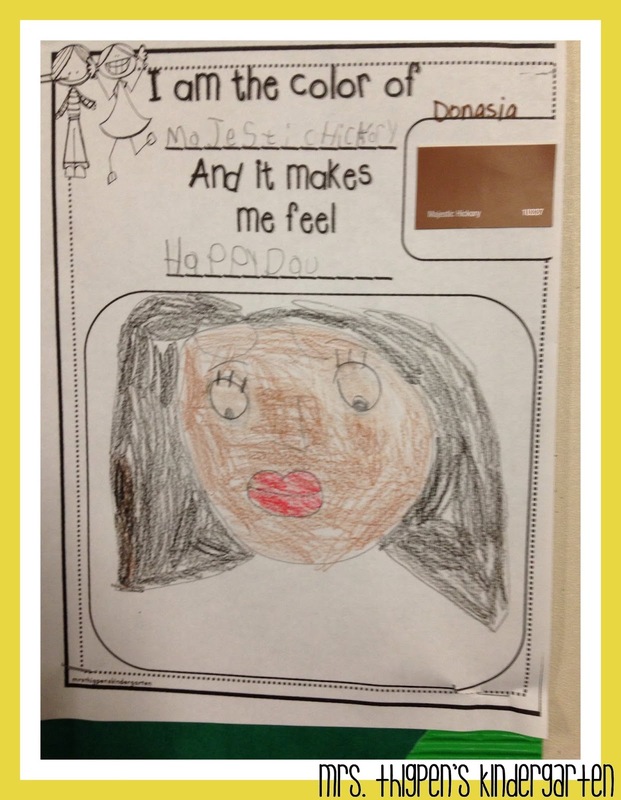 This month is Black History Month and we do multiple activities in the classroom to celebrate. 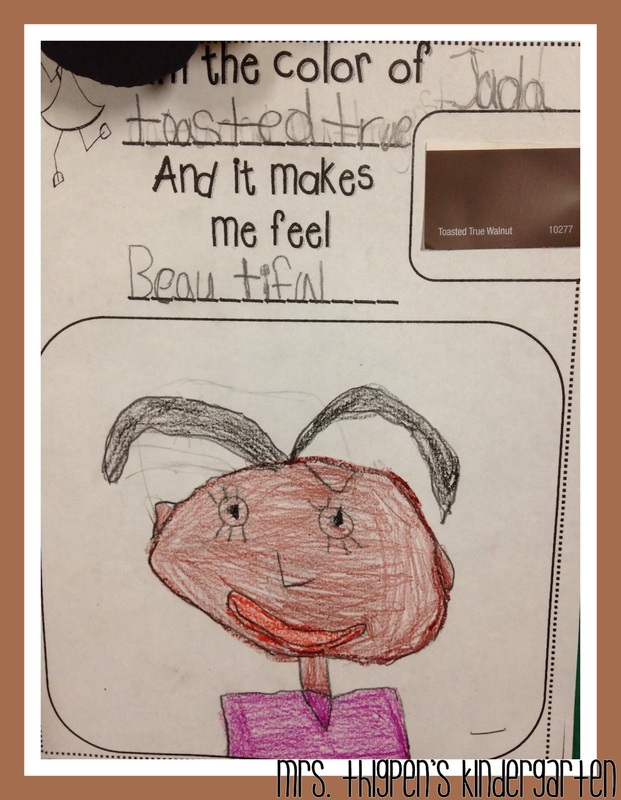 One project we do is send home a name of a famous African American to each student, they are required to send in 2 facts about that person as well as a picture. Some students go all out and they have huge projects, while others just send in a paper with the facts and a picture. It doesn't matter---all that counts is that they are learning about history! So fun to see what we will get! 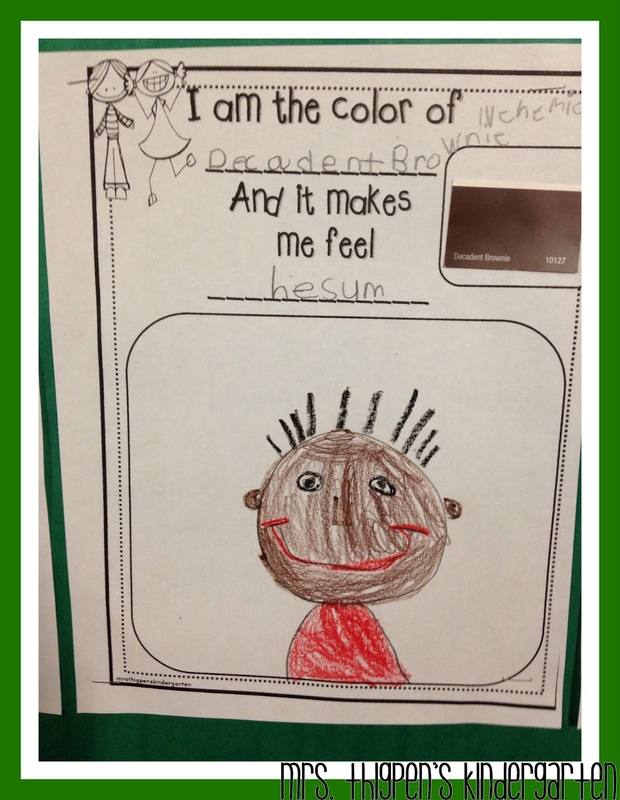 We used the book Shades of Black for this activity. 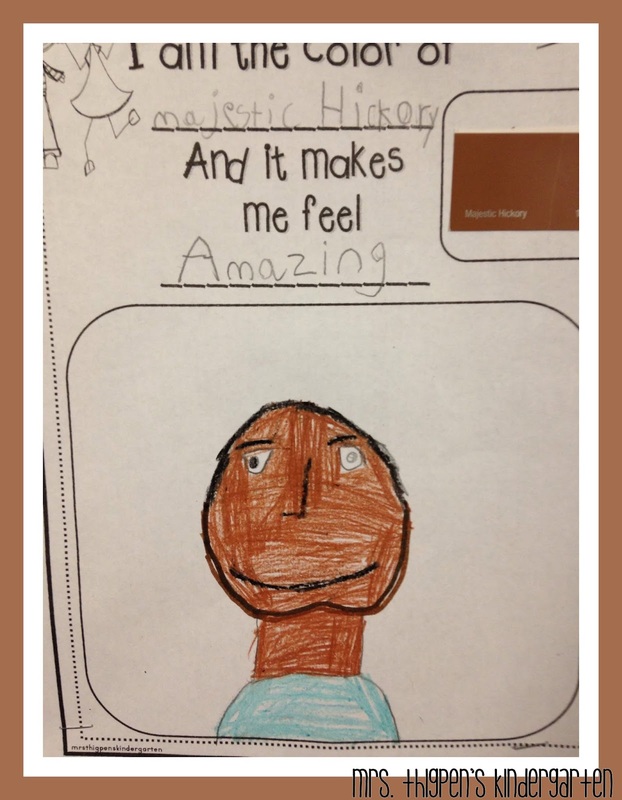 This book went perfectly with my kiddos because it represented everyone in the class. 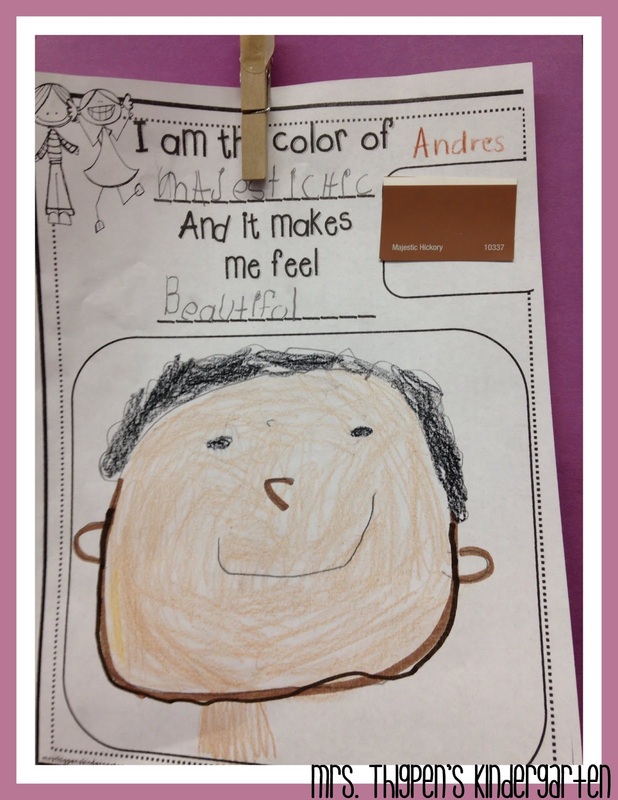 We talked about everyone has a particular skin color, NOT just black and white. 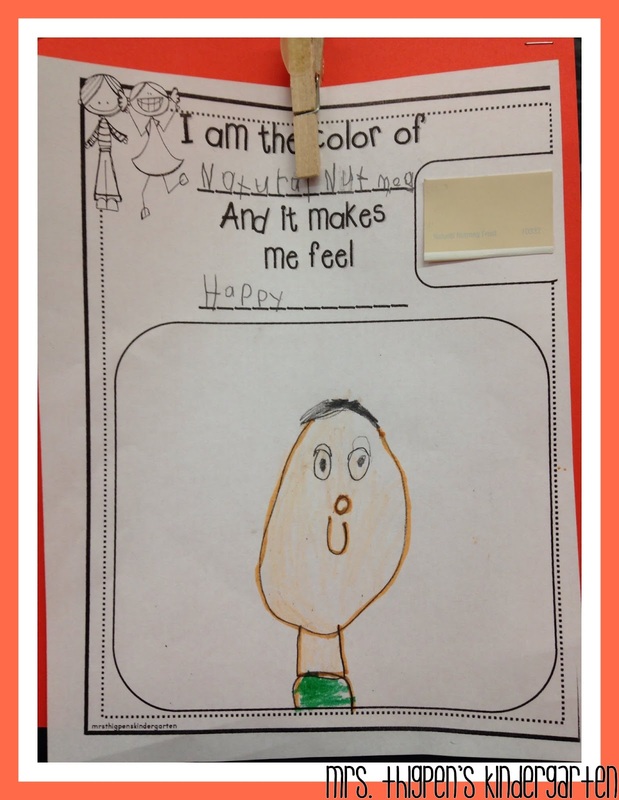 As we were reading, we would stop and find someone in the classroom who represented that particular page. You can see the inside of the book here on Amazon. I started the lesson by matching up a paint sample to my skin and naming that sample--I think it was something like Natural Nutmeg Frost. They LOVED it. Then I talked about how that makes me feel. I used words such as beautiful, radiant, happy, excited, etc. And I'm a little---over dramatic shall we say! and this seems to help aid in their thought process and picture drawing. After we matched each kid up, they were given their sample and off they went! And I didn't take a picture of every one of them....but they were all amazing! We did help them by writing some of the words on the board, but you can also see some inventive spelling throughout.